Jonathan Abetti is a New York State licensed private investigator. He has several years of experience conducting investigations for complex litigation. He has researched corporations and individuals involved in fraudulent and conspiratorial conduct. He has interviewed witnesses in numerous potential and active case investigations, generating evidence indispensable to the prosecution of a case. He has an intuition for locating key information in unlikely places, whether that be a hidden corner of the Internet or from an improbable witness. Mr. Abetti previously worked as a paralegal and new case investigator at Cohen Milstein Sellers & Toll. He graduated with a Bachelor’s degree with a double major in Political Science and Middle Eastern & Islamic Studies from New York University in 2009. In 2013, he spent the year in Egypt with his wife to volunteer with a youth sports organization. Together they organized and ran sports camps for Egyptian children in and around Cairo. 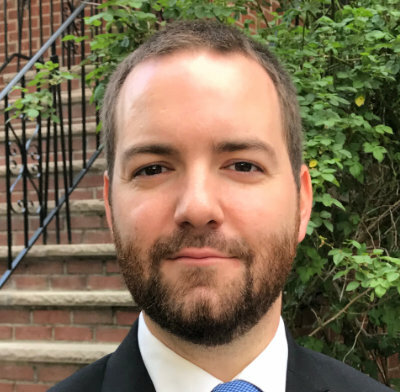 Mr. Abetti lives Beacon, New York with his wife and son and enjoys kickboxing at his local dojo and exploring the many wonders of the Hudson Valley and New York City with his family.